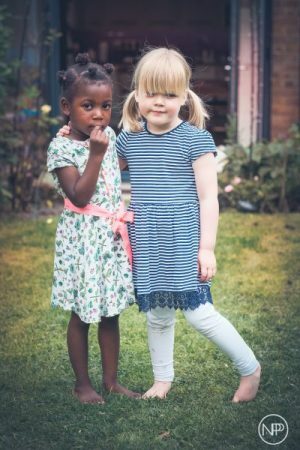 This is Part 1 in a series of short articles about how you can support your child as September and the start of their Reception year approaches. It’s likely that by now you will have had the opportunity to visit your child’s new school and for them to meet their new teacher or key worker. You may have been offered one or more transition visits and perhaps a parents’ information evening. These visits play a vital part in helping children see the setting as theirs and for you to begin to develop a positive relationship- not only with the school staff but with other parents, too. If you have been unable to visit the school as yet or cannot make the offered sessions why not contact them to arrange another visit? The more times your child can be in the environment, the more they will feel at home and therefore the easier it will be in September. The importance of making sure children see their new settings as safe and happy spaces cannot be emphasised enough. It is perfectly normal and acceptable for mums and dads to feel an element of anxiety at the thought of packing their most treasured possession off for the day but projecting anxieties onto your little person will do nothing but make them think the school is not a positive place. Hide your worries from your child but address them with the school – fears can be quickly quelled by experienced and kindly school staff. Remember, they’ve heard them all before and are used to supporting anxious parents. Have a look at the school website and any other literature you have been given. Use these resources to prompt conversation about the school. Pictures of the classroom and key parts of the building and grounds are useful talking points. Ideally your child will be keen to tell you that “this is where the dressing up box is” or “this is where we wash our hands before lunch.” Through this important conversation you may stumble upon any worries your child may have and can begin to address them. In contrast you’ll be able to see what they are excited about and can share this with the adults in school – they will want to know. Take the time to walk past and see all the children enjoying playing at lunchtime. This should again provoke a positive reaction from your little one. Making contact with parents of children who will be in their class – Mumbler chat groups are a good way to reach out here and some schools set up Class List or similar mobile phone apps as a method of communication. Arranging meet ups through the summer can help you feel less anxious as a lone parent in the playground. Talk to school staff about any emerging concerns as soon as possible. You aren’t a fussy parent and won’t be seen this way. Guest blog by Lucy Patrick. Lucy is a primary school headteacher and co – owner of North Kirklees Mumbler.